The Situation: Kids ask, “Do I deserve this?“ They feel wronged when they experience treatment that they consider to be “unjust” or “unfair.” On the other hand, children can also be overwhelmed when they receive undeserved favor. Children need to appreciate God’s mercy and grace to extend the same to others. 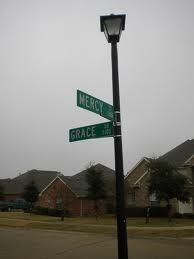 The Solution: Mercy and grace are like two sides of the same coin. “Mercy” is not getting the punishment that we truly deserve. “Grace” is getting VIP treatment that we truly do not deserve. God displays mercy—He doesn’t treat us as our sins deserve—because Jesus Christ took our punishment. God also extends grace—He treats us to blessings that we have not earned. What You Can Do: Use a coin to explain these two concepts to your child. Because Christ satisfied God’s holy standard, He can now shower His people with both mercy and grace. Look for ways to mir- ror God’s compassion by expressing mercy and grace. Point out any clear examples of mercy and grace in your family encounters.